We are so excited to be able to host our 3rd annual event this coming up Memorial Day Weekend. We will have a full morning of racing going on with Olympic and Sprint distance Triathlons, Aqua Bikes and Duathlons. This event can be completed as a team or as an individual. Also dont forget about the 5k and 10k runs accross to the other side of the straight on Historic Mare island. The swim will take place in the Mare Island Straight where the Napa River meets the Bay. 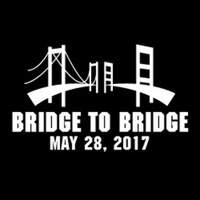 The bikers will then cross the Carquinez Straight on the Zampa Bridge into Crockett, and the run course will take the participants across the Mare Island Causeway through the Mare Island Naval Shipyard. All participants will recieve a tech shirt and finishers medal. Awards will be available for Male and Female of every category that has a minimum of three entrants. Teams will be awards in one mixed category and will also need 3 team entries for awards. Pre-registration will close on May 24th. Day of registration will be available for 10 dollars more than the last price listed during pre-registration, and discounts will not apply. All start times subject to adjustment based on size of event. Triathlon/Duathlon/Aquabike Please be ready for a 7:45am start. The Swim will take place will be with the current. The bike will take you down Mare Island Way to Sonoma Blvd and across the Carquinez Bridge and back. The run will still continue over to the historic Mare Island Naval Shipyard. Course subject to change for safety reasons if deemed necessary. The run does take place over a live draw bridge. We are currently working with the city to delay the hours of operation for the bridge. Please arrive with plenty of time before your event start time. As much as we want to be able to predict everything that will happen, all we know is that we are going to hold our race. We will have a loading zone at the Start/Finish line but request that people park their vehicles in the designated parking locations. 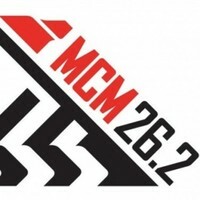 Info will be provided on our website, in the race packet and below in the event photos. Vallejo being on the waterfront is subject to morning fog. With temperatures possibly going from the mid 50s to 80s possible by noon please plan accordingly.